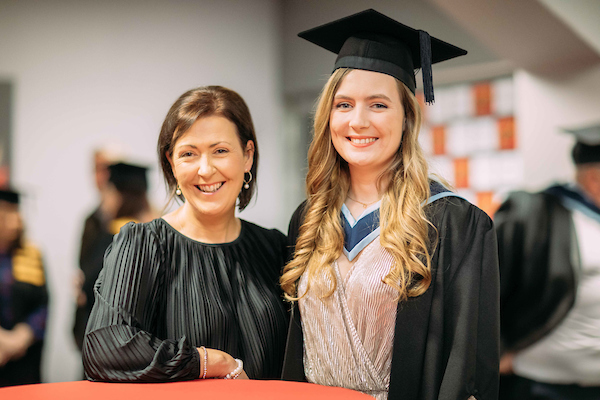 The Griffith College Limerick graduation took place on Friday the 23rd of November in Thomond Park Stadium. Over 350 guests attended to witness the conferring ceremony. Guest speakers on the night included Mayor Daniel Butler and Senator Maria Byrne. Declan Hannon, captain of the Limerick All-Ireland Senior Hurling Team was award the colleges “Professional Excellence Award”, this is the first time such an award has been given outside of Dublin and is a testament to the hard work and success of Declan and all involved in the Limerick Hurling Team. Congratulations to all the graduates on the night and we look forward to welcoming them back on campus very soon.